WASHINGTON—Urging Congress to take action before the entire system was compromised, the Federal Election Commission warned Thursday that many states were still relying on outdated methods to disenfranchise their voters. 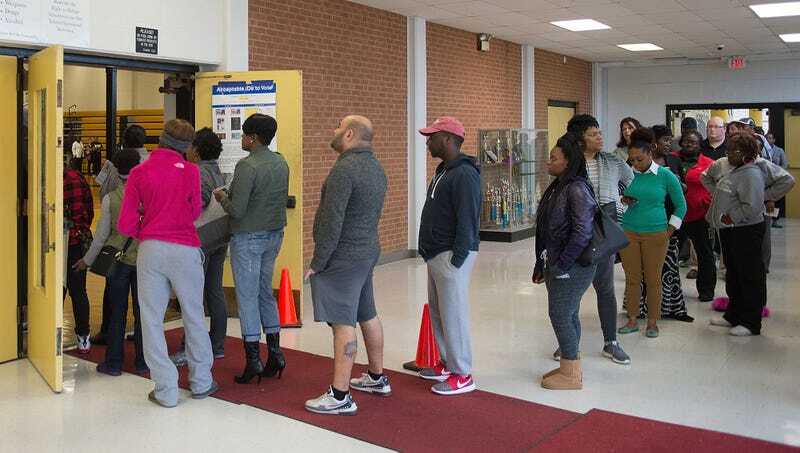 “The fact that a number of polling places across the country are still trying to purge voter rolls by hand is a huge issue,” said FEC spokesperson Angela Larson, noting that every state should have adopted fail-safe, digital disenfranchisement systems years ago. “We’ve had reports of officials manually throwing ballots in the garbage, and, frankly, that is completely absurd in 2018. The manpower something like this takes is ridiculous. Electronic voting machines should be getting hacked remotely to eliminate even the slightest possibility of a paper trail. Don’t even get me started with Georgia, where they’re still relying on draconian registration laws and inaccessible polling places to suppress the black vote the same way their parents and grandparents did.” At press time, Larson cautioned that many of these antiquated methods were rife for human error and could result in thousands of minorities being allowed to vote.